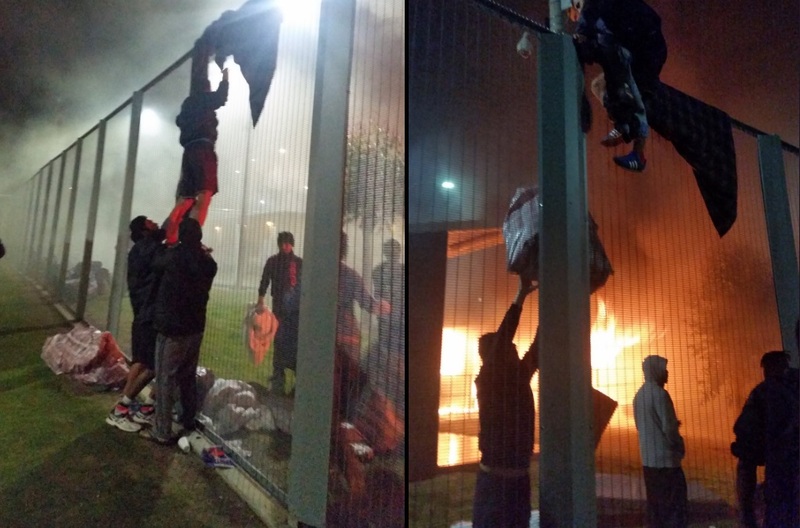 Detainees at West Australian detention center rioted after an asylum seeker tried to kill himself. The rioters sparked a fire at the detention center's Falcon Compound forcing the Border Force to relocate detainees to another part of the center. Now, the detainee who tried to end his life has died in the hospital. Refugee advocates say the deceased detainee was a 22-year-old Iraqi asylum seeker although Australian Immigration authorities have not released his identity. He was found in his cell at Yongah Hill Immigration Detention Centre near Perth on Sunday evening. The Australian Border Force issued a statement Friday saying, "We express our condolences to his family and friends. The matter will be referred to the state coroner for investigation." The riot left the Falcon Compound severely damaged and uninhabitable. Ian Rintoul, a Refugee Action Coalition spokesman, said the deceased detainee had a "history of mental distress". He was transferred to Yongah Hill from Villawood a couple months ago. The Australian Border Force said there had been a "disturbance" by a small number of detainees. That disturbance left some accommodation areas damaged by the fire.